DevCAT is teasing a new update for Mabinogi Heroes, the game that you know as Vindictus in the west. Without any sort of explanation or context, the image that you can see below was unleashed into the wild. Go on, take a look at it, I'll wait. Are you done already? It's pretty cool, don't you think? And now we can speculate a bit about the artwork. 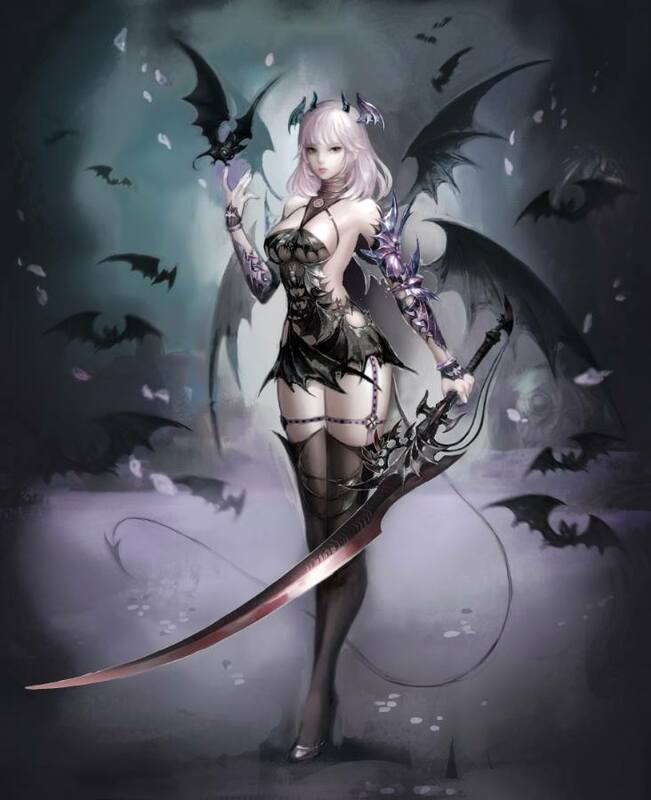 The first thing that comes to mind is that this is the next character to join the roster of Mabinogi Heroes' warriors, but we recently saw the addition of Grimden and Miul (Eira: The Void Witch in Vindictus)… Could it be too soon for that? On the other hand, it could also be a new boss that you'll face when the next update drops. The girl is decidedly a bit grim and all those bats around her contribute to that feeling, but that sword… She seems dangerous. So, playable character or boss? What do you think?